With several new cruise ships — and over a half-million passengers — set to visit Bermuda in 2019, the local government is anticipating a record-breaking year, including a major influx of money. And if the island’s tourism department has its way, this will be only the beginning. 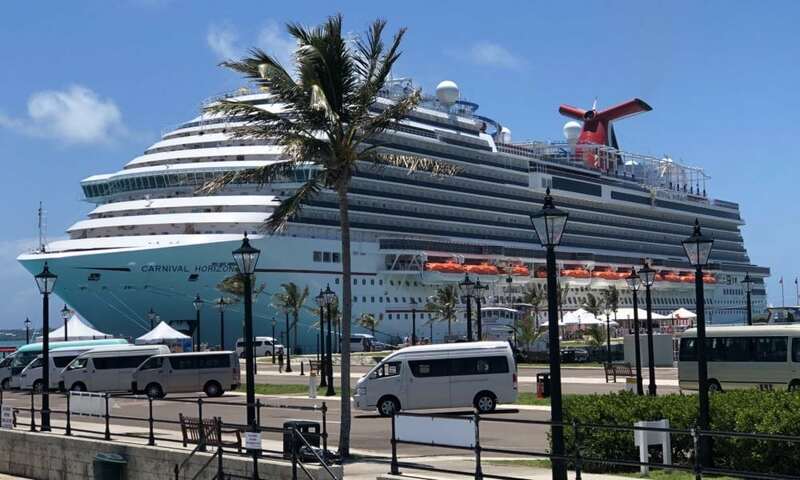 According to the official 2019 Ship Schedule for Bermuda and a release from the island’s government, five different ships will be calling on the island for the first time… four of those during late April and early May. The first-timers are Norwegian Cruise Line’s Pearl and Jade, Celebrity Edge, Royal Caribbean’s Adventure of the Seas and Saga’s Spirit of Discovery, the latter of which will visit on New Year’s Eve of 2019. All told, 42 ships in total will visit Bermuda, with Norwegian Escape making the most calls on the port at 27. Rounding out the top three? Royal Caribbean’s Anthem of the Seas will make 24 stops, and the Norwegian Gem will visit Bermuda 22 times. All in all, 192 ships are slated to visit Bermuda in 2019, with the Minister of Tourism and Transport, Zane DeSilva, saying that this was expected to result in “the tax revenue from cruise ship passengers [increasing] by $7.9 million in 2019” thanks to nearly 70,000 more visitors arriving by sea.